A review I wrote of Australian crime writer Michael Robotham's latest novel, BLEED FOR ME, was published in yesterday's issue of the Nelson Mail newspaper. 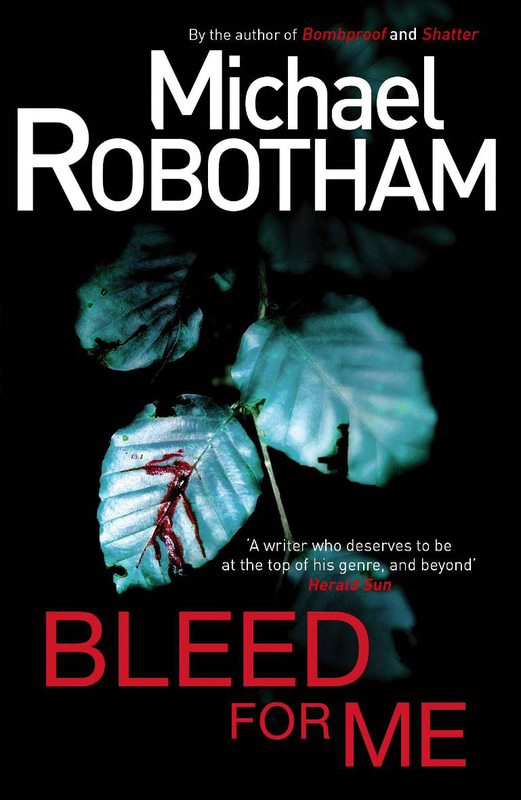 As I noted in the review, although Robotham is a born-and-raised Aussie, and now lives in Sydney with his family, he sets his novels in the United Kingdom, where he worked for several years as a journalist and ghost writer of celebrity 'autobiographies'. BLEED FOR ME sees the return of his Parkinsons-affected leading man, Joe O'Loughlin, who finds himself caught up in a situation fraught with seen and unseen dangers; his daughter's best friend turns up on the doorstep in shock and covered in blood, then her father, a distinguished former policeman, is found brutally murdered in her bedroom. What begins as a court-ordered psychological report on a clearly troubled girl morphs into an unofficial (and by many people, unwanted) investigation into the Hegarty family, the local school, and several people's pasts. In my review, I say "Robotham is an assured writer, pulling together multiple subplots into an engrossing and cohesive read". You can read my full Nelson Mail review of BLEED FOR ME here. Craig - Thanks for this; your review is, as always, excellent. In fact, Bleed For Me has been on my TBR list for a bit; time to move it up, I think. Craig I can't for the life of me find an email address for you here (it's probably over there ---> somewhere but I can't see it). If you'd like my copies of the previous Robotham books you're welcome to them if you want to give me your postal address. I have all four of the books so you can have the lot or let me know which ones you want. If you're wondering why I'm making the offer it's simply that I don't keep too many of my books because I'm not much of a re-reader and so I give a lot away locally and also via bookmooch but I've also started sending them to members of the FF room too - just sent a couple of Aussie books off to Maxine this week - I sort of like them going to new homes where they'll be appreciated for a while. Email me at bsquaredinoz at gmail dot com with your postal address if you want them. If not, that's fine too. I love this guys writing and the character Joe. It is such a thrill to find a "new to me" author that I know I am going to follow, I have read 3 of his books now and they just keep getting better and better.